The activities of the joint military exercise “Al Humaimat 10” began today, in the UAE with the participation of units from the ground forces of the UAE and France, within the framework of cooperation, coordination and exchange of expertise between the two countries. The exercise comes within the multilateral joint military exercises conducted by the UAE’s Armed Forces over the course of the year with forces from brotherly and friendly countries. 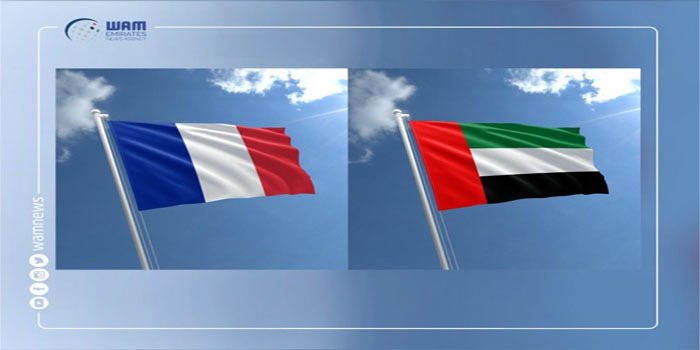 The exercise, which will last for the next three weeks, aims to strengthen cooperation and joint work, exchange of expertise in the military fields which contributes to raising the combat capability, and increasing coordination between the Emirati and French Armed Forces, and raise the performance and adequacy according to a clear strategy to elevate the general level and combat readiness of the UAE’s Armed Forces. Numerous joint exercises have been held between the two countries in which both sides have shown a high level of professionalism which reflects where the military cooperation between the armed forces in both countries has reached over the past few decades. The UAE Armed Forces have consistently implemented the different joint exercises with brotherly and friendly countries, out of the care of the General Command of the Armed Forces to raise the level of combat capabilities and efficiency according to a clear strategy.